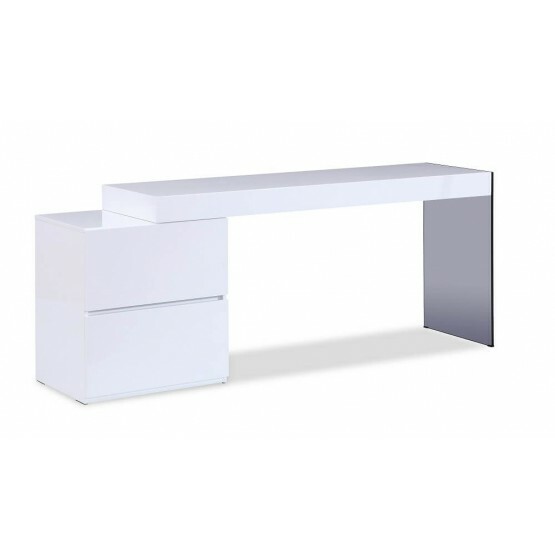 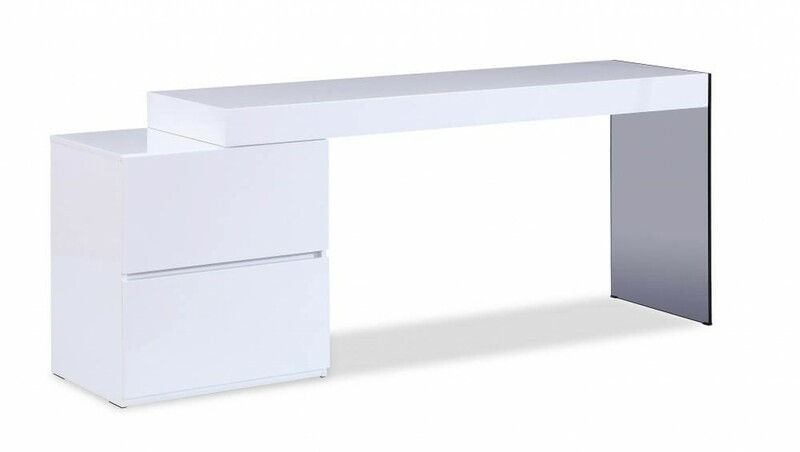 Gorgeously crafted in a white high gloss, the Mia modern office desk is another lovely additon to the J&M Office collection. 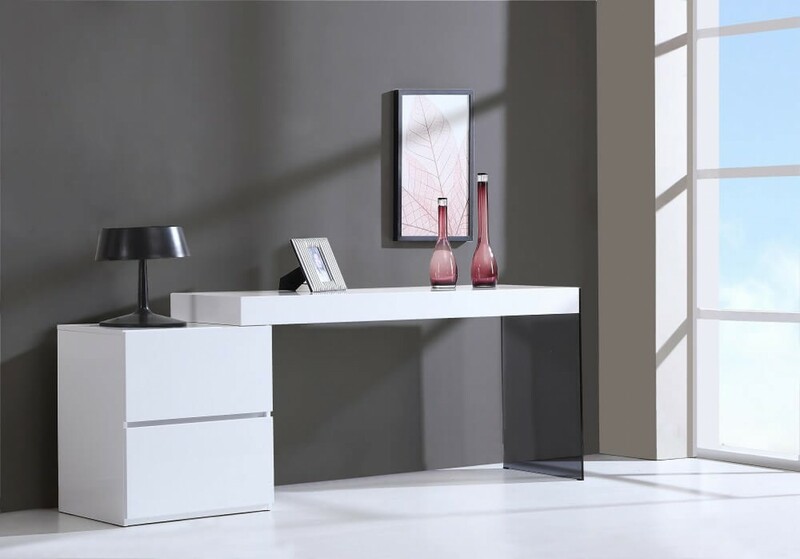 This office desk features a smoked grey glass leg for an eyecatching design, and 2 drawers with soft closing tracks for storage. 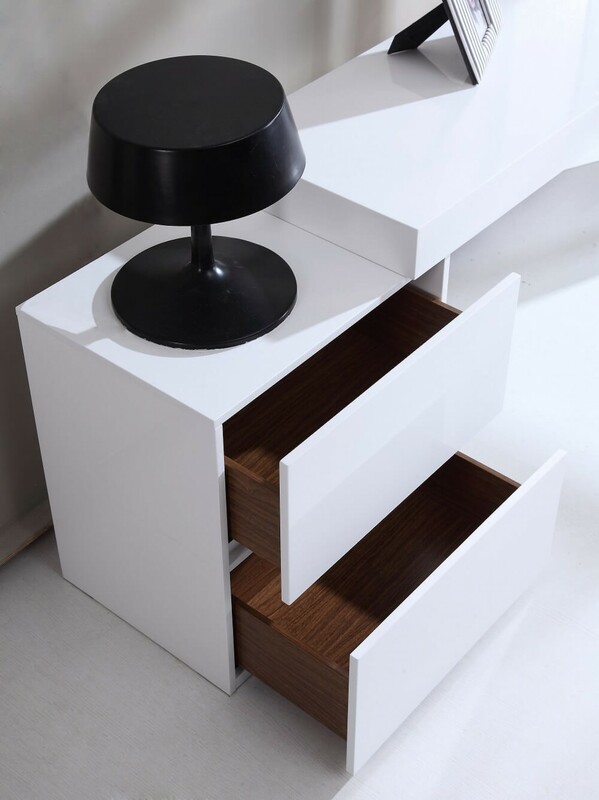 The design of this desk allows for the drawer to be easily reversed on either side, and the length can be adjusted as well.